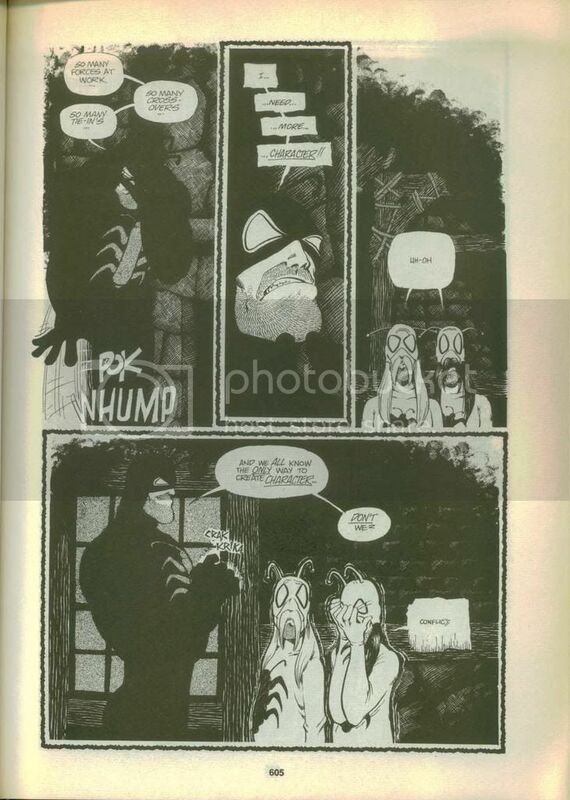 I have a good chunk of Cerebus phone books, but not all of ’em. 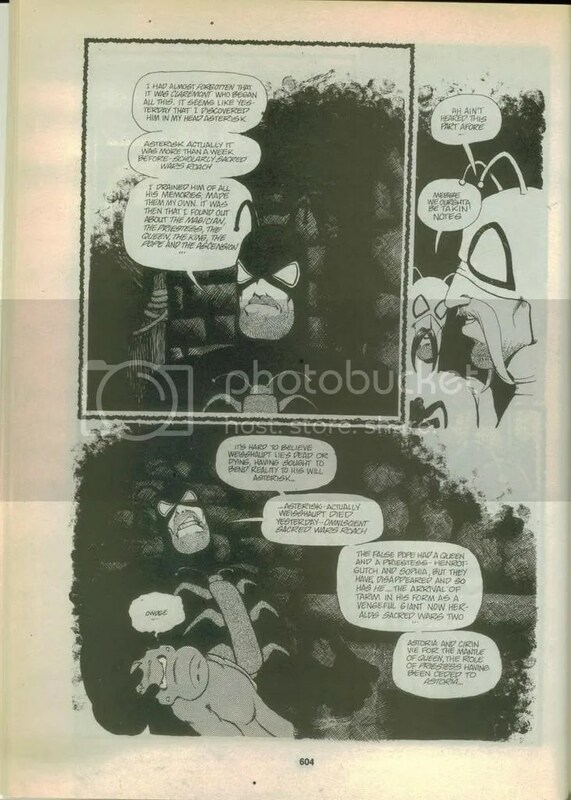 Sometimes I don’t know which would be more rewarding — reading Cerebus from start to finish or trying to make sense out of The Silmarillion. Still, as far as I know, there are no superhero parodies in Tolkien. I had forgotten about his henchmen, themselves parodies of the hillbillies from old Warner Bros. cartoons. There was also a three-headed swamp monster (Swamp Thing, Man-Thing, and Alan Moore) and MIck Jagger and Keith Richards, but maybe another Sunday.